Help Back to the Sea Keep the Ocean Trash-Free! Last fall, 12 ambassadors were on a mission to help us keep the ocean trash-free while fundraising important funds for ocean education. It was such a success that we're doing it again! 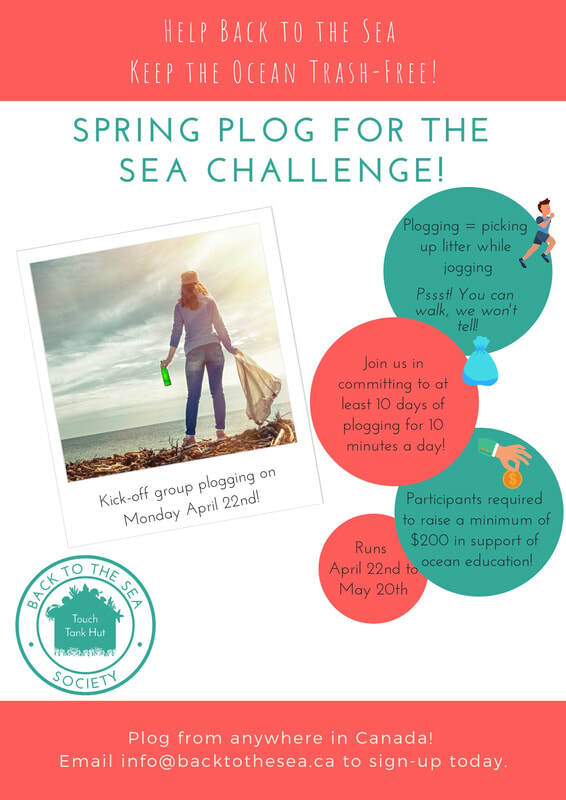 Show your interest for our Spring Plog for the Sea by filling out the form below. We'll be in touch soon with all the details. What's plogging you ask? Picking up litter while jogging. Each participant will commit to plogging 10 days for a minimum of 10 minutes each time. Ambassadors also commit to fundraising $200 for Back to Sea. All participants who sign up will be entered in A for Adventure's #onebagchallenge contest for a chance to win prizes from The North Face and The Trail Shop! We will also have prizes for our top fundraisers! Including $50 gift certificates generously offered by Aerobics First. I'm interested in participating - Please send me more info! We have a few group plogging opportunities for all participants available to join! Weekend of April 27th - Public plogging event as part of the City Nature Challenge, details TBC. While plogging, if you observe any wildlife, consider take a photo and then sharing with iNaturalist. Any observations posted to iNat between April 26-29th will count towards the City Nature Challenge. Simply download the app today and test it out on your next outing! Note: you can take your photos while jogging and then upload later. Over 33 hours were committed and 76 bags of litter were collected. Half the team at our group plog on October 2nd! Peer-to-peer challenge to fundraise for the Back to the Sea Society all while helping to keep our environment and oceans trash-free! Plogging = picking up litter while jogging (or walking)! Throughout the month of April and May. 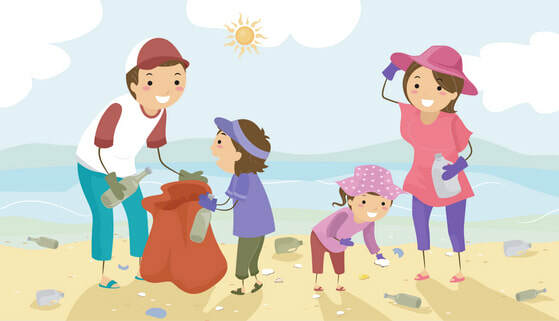 Commit to a minimum of 10 days of plogging for a minimum of 10 minutes each time. Anyone anywhere in Canada can participate. Outside of Canada? You can still join us, but please take note all the fundraising will take place through Canada Helps and that Canadian charitable tax receipts are issued to donors. View the team page here. A kick-off group plog event will take. Location and time TBD. Participants outside of Halifax are invited to follow along online on our live Instagram and FB streams! Sign-up using the contact form above or email info@backtothesea.ca. ​But I don't like jogging! Fundraising will take place through Canada Helps. We have a team page and each participant also has their own fundraising page showcasing their progress. Everyone who donates will receive a charitable tax receipt. Participants can also accept cash donations. These must be dropped off to Back to the Sea and will be added to your online progress on Canada Helps. Can I set my own goals? Definitely! If you would like to set a higher fundraising goal or commit to more days or hours of plogging you are more than welcome to. We appreciate your dedication to the cause! Does the plogging have to take place along the coast? Not at all! Plog wherever your heart desires. It can be in a park, in the city, along your neighbourhood street. If you are in the Halifax area we will provide you with gloves and some repurposed bags for your garbage pickup. We will have these ready for everyone during the kick-off event on Tuesday the 2nd in Dartmouth. We can arrange pick up if you can't make it to the event. If you are outside of Halifax you will likely want to get yourself a pair of gloves to ensure you are plogging safely. Do the 10 days have to be consecutive? Thank you for helping us keep our oceans clean all the while raising important funds for our work!